Genetic Genealogy Ireland has proved so popular that we are now holding it in Belfast as well as in Dublin. And this first time in Belfast will prove to be an event to remember. The DNA Lectures are once again kindly sponsored by FamilyTreeDNA and form part of the Back to Our Past genealogy show. This will take place on Friday & Saturday, 16-17th Feb 2018 (10am to 5pm). 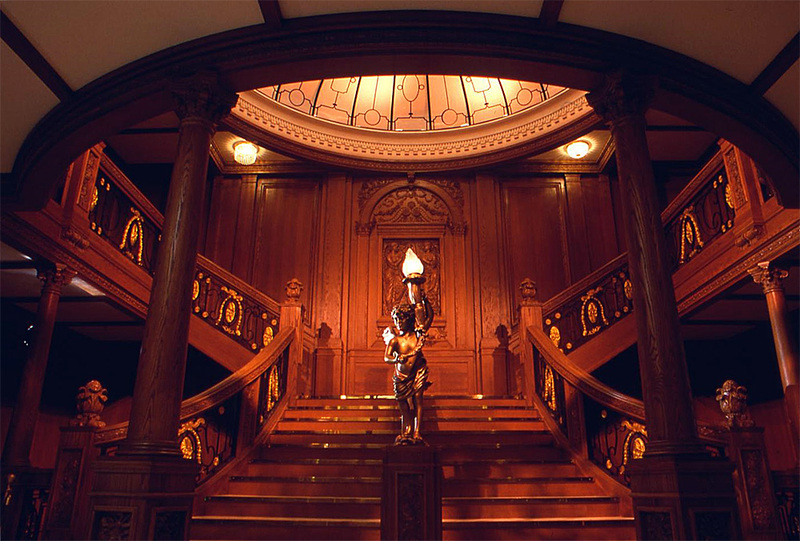 And the venue for this year's event will be the iconic Titanic Centre, home to the award-winning Titanic exhibition which has fast become a major tourist attraction since it opened in 2012. The main part of the show will be held on the top floor of the Centre (in the Titanic Suite) which is a replica ballroom of the Titanic itself. The DNA Lectures and traditional genealogy lectures will be held in adjoining custom-built lecture theatres with modern audio and projection equipment. Ask the Experts session ... 20 minutes at the end of each day. The final schedule with full titles of the presentations will be published shortly. And there will be a social dinner each evening in a local hostelry or restaurant. 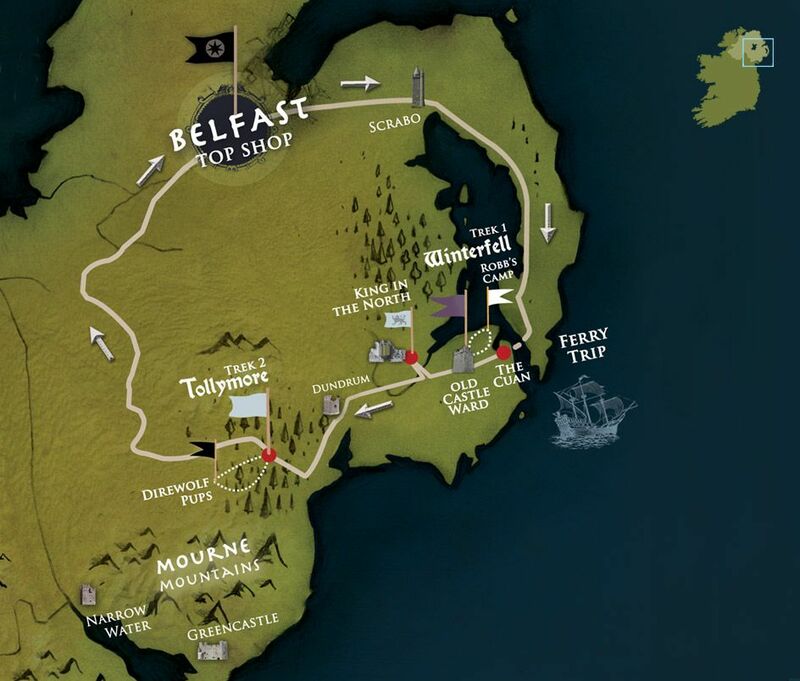 Right next door to the Titanic Centre is the film set of Game of Thrones, the hugely popular television series that has amassed a huge following. Whilst tours of the interior set are not possible (because they are currently filming the final series of Game of Thrones behind a wall of very tight security) it will be possible to tour some of the external locations from previous series. 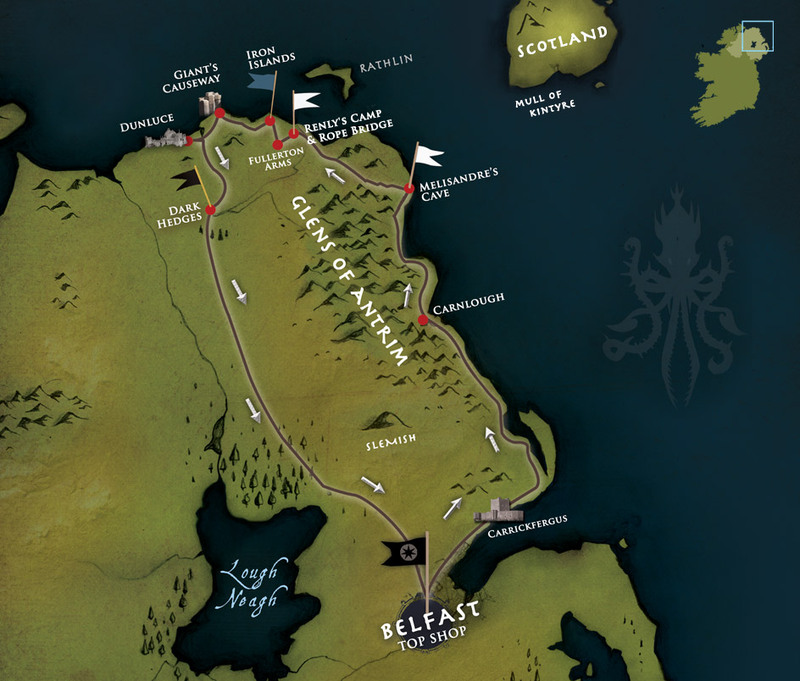 To this end, two tours have been arranged (£40 each) - one to the Iron Islands & the Giant's Causeway in County Antrim (Thurs 15th Feb), and the other to Winterfell and Tollymore Forest in County Down (Sun 18th Feb). Both tours will be led by extras from Game of Thrones, who have a great local knowledge of the history and geography of Northern Ireland (one was a tour guide at Carrickfergus Castle) and will regale us with tales from the film set. Both tours involve walking 1-2 miles and are rated 18+ in terms of content so are not recommended for children. GOT costumes will be provided for those who want an extra layer of clothing! You can read about the Iron Islands tour here (Thurs 15th Feb) and the Winterfell tour here (Sun 18th Feb). On TripAdvisor, 92% of the reviews describe the tours as Excellent (5 stars). Book your places on these tours now as they are also open to the general public and places are limited to 30 people. This is on a first-come first-served basis. And make sure that you tell them that you are with the ISOGG party - that way you get VIP treatment! Other attractions that are a must-see in Belfast include a tour of Belfast city, a tour of the Titanic Centre itself, and a visit to PRONI (Public Records of Northern Ireland).